Yesterday, the organization gave us our official number for Miss World Phil 2017. And I am destined to be "numero singko" the most dynamic and energetic of all the digits I would claim! 23-year-old Kaycie Lyn Fajardo from Manila is our candidate #5 for Miss World Philippines 2017 competition. This Custom Administration graduate is not new in the pageant world as she was crowned as 2015's Miss Manila. She also won 4th Runner-up at It's Showtime's "Gandang Babae" segment in 2014. She also joined the ranks of the Briefcase Models at ABS-CBN's Deal or No Deal TV show. Her beauty bears a striking resemblance to different Philippine actresses like Alessandra de Rossi, Rhian Ramos and Lovie Poe. 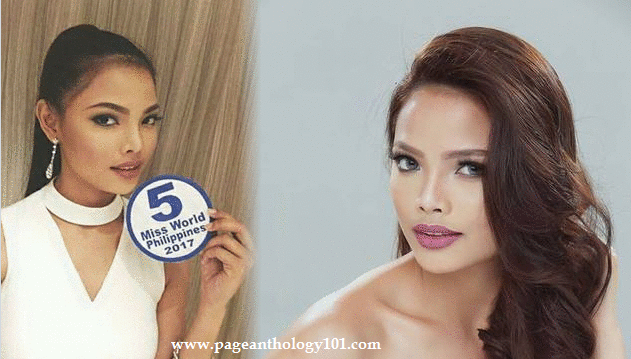 This Aces and Queens beauty has been named as one of the finalists in the Miss World Philippines 2017 talent portion, one of the activities held before the pageant's September 3 coronation night. She performed magic tricks.